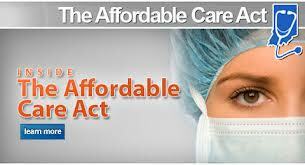 No person in America will be denied coverage as of January 1, 2014 because of a preexisting condition. However, according to the government’s healthcare website, even though preexisting conditions will not stop you from being able to enroll, a state or provider may still be able to charge more for those conditions. 2) There are no lifetime maximums under ObamaCare. This means that an insurance company can’t stop covering you at a certain dollar amount of healthcare costs. This gives peace of mind to those who have a major health issue. 3) Insurance providers cannot drop you for a mistake on your application. If you made a mistake on your application healthcare insurers must still cover you if get sick under the Health Care Exchange. 4) You are still covered if you lose your job under the Health Care Exchange. If you are laid off, fired, or quit your job you are still able to keep your insurance. There may also be more federal subsidies available to help you through your unemployment or change of career. For further questions about ObamaCare call the number above or contact Medicoverage.